Facebook held a press event at their headquarters in California this morning to announce three major new features. The first is group text chat, which users including myself have long requested. This feature made a relatively quiet debut on the social network with the launch of Facebook Groups late last year. When on a group page, members could choose to launch a chat window and join the conversation with others. Starting today, members can join conversations with multiple friends even if they are not a part of a specific group. To get started, just click “Add Friends” at the top of any open conversation window. And yes, it even works on mobile apps. 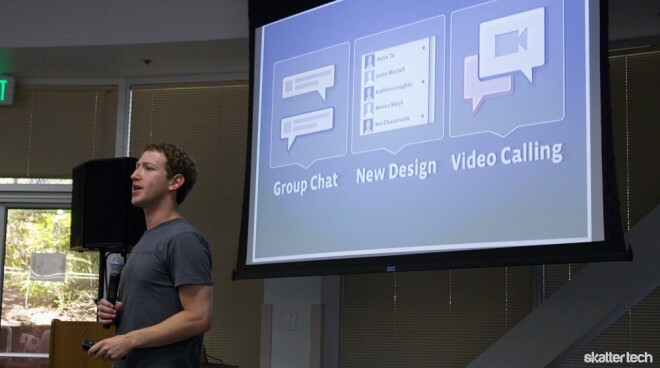 The second of three features Mark Zuckerberg announced is some changes to the Facebook Chat design and layout. It improves on organizing the friends list and even sorts by the people you chat with the most. Also, depending on the width of your screen, the chat sidebar stays open on the right and lists online friends without intruding on top of the main page. Last but not least, video calling is finally here. It is just as simple to start as a group text chat. On top of any chat window, click the new video icon to initialize a call. Skype CEO Tony Bates took the stage to discuss the relationship between the two companies. It began when Facebook made an appearance in the Skype client for simple text chat and video support is clearly the next logical step. With that being said, I should note that existing Skype users can not place video calls to Facebook users or vice versa. Both services are entirely independent for the time being. Skype users with the Windows 7 client can still enjoy text-based chat with Facebook users. The browser plug-in works with Chrome, Firefox, Internet Explorer, and Safari. It is actually proprietary technology taking advantage of Skype streaming codecs, unlike Adobe Flash powered solutions such as AV by AIM. 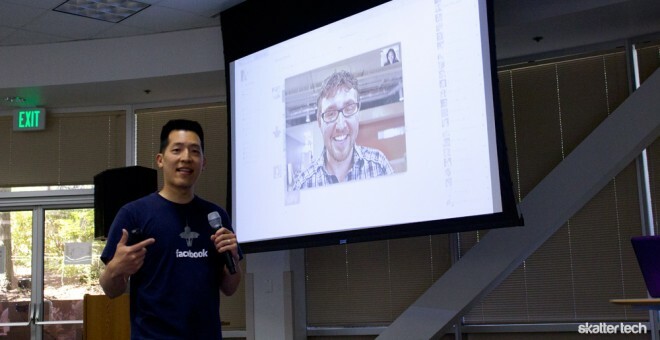 Zuckerberg also hinted that video calling would make its way to mobile devices at some point. I was disappointed to find that video calling on Facebook is also only one-on-one at the moment despite the fact that Skype offers group support on the desktop client. Even the just-announced Google+ Hangouts offers simultaneous ten person video calling within a browser. 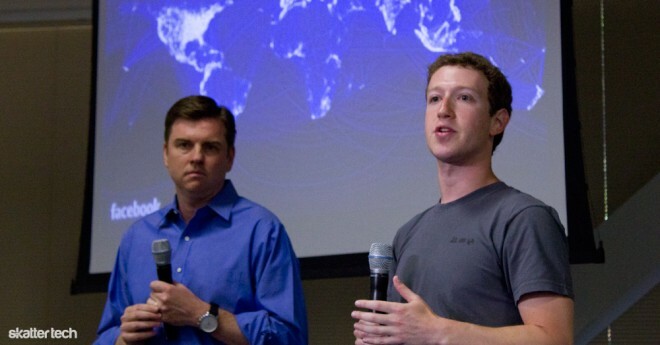 Everything Facebook announced begins rolling out today and will reach all users within the next few weeks. If you are bursting with excitement in your chair right now as you read this, there is some good news — you can get instant access to video calling right here.